The inspiration for this recipe comes from a cookbook called Truly Mexican., which is full of great recipes for salsa’s and sauces. 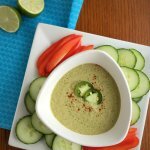 I recently did a little experimenting in the kitchen to come up with my own version of a pumpkin seed and jalapeno dip that was in the book. When you have so many days of rain like we have lately, you have a lot of time to spend in the kitchen. I can safely say that the drought for many parts of Texas is finally over! Flooding is our new problem, which is amazing considering last summer the lake levels were extremely low in many areas. Like you couldn’t tell that there ever was a lake there low. Summer means lots of backyard barbecues and parties. A lot of chips and dip will be consumed over the next few months. This dip is not only tasty, but it’s a healthier option than most of the store-bought dips on the market. The great thing is, no one will ever know you are serving them something healthy. It’s a good way to get kids and picky husbands to eat pumpkin seeds. Pumpkin seeds are a very good source of magnesium, manganese, phosphorous and copper. In addition to being a good source of protein, they are also a good source of other minerals including zinc and iron. It’s best to use pumpkin seeds that have been soaked and dehydrated, so that they are easier to digest, and their nutrients are more readily available. You can follow this tutorial, if you want do this step. Just omit the cayenne pepper, and cut the amount of salt and pumpkin seeds in half. You can alter the heat level by leaving the seeds and ribs of the jalapenos out or use some of them. I used about a quarter of the seeds, and mine was fairly spicy. The heat level also varies from pepper to pepper. 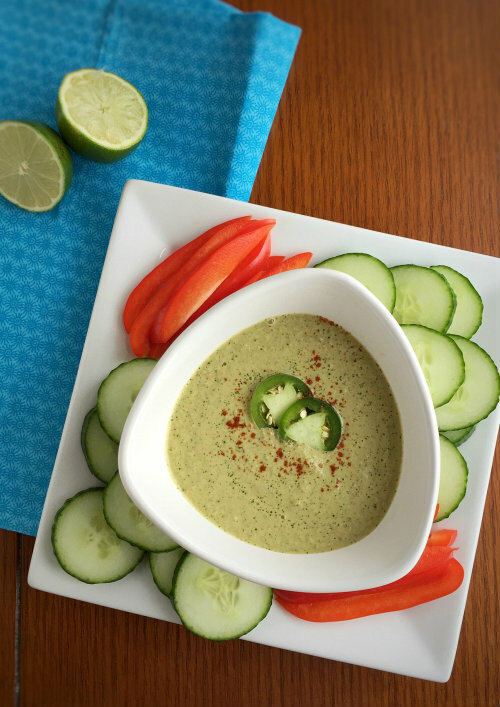 I served this Jalapeno Pumpkin Seed Dip with some raw veggies, but I think this would be good with some organic tortilla chips, too. My husband, who hates cucumbers, actually went back for more after I had him do a taste test for me! That’s saying something. In a blender, add all of the ingredients. Blend until it forms a smooth puree. Check seasoning and adjust if necessary. Refrigerate for at least six hours before serving. 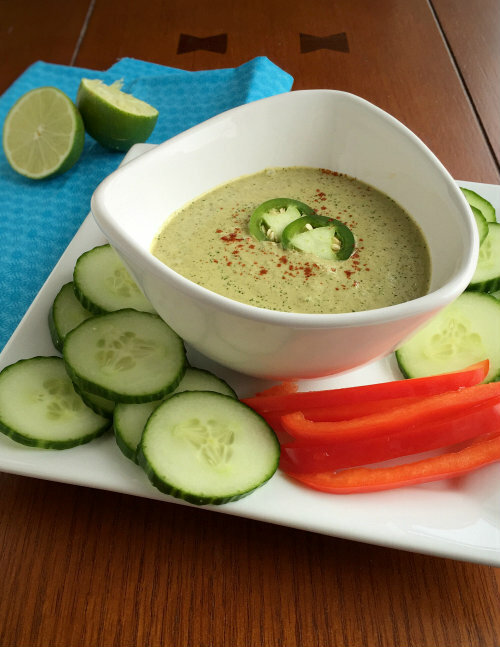 Serve with sliced cucumber, chips or other raw veggies.